Getting over jet lag after a 13 hour flight was natural for Tosan Aduayi such that an initial resistance to a call from his sisters for an outing was likely expected. The rendezvous spot was the ‘Spur’ on Isaac John in Ikeja GRA. It was such a blessing for the Trendy Africa founder to have his parents and Lagos based siblings, niece and nephew in attendance. 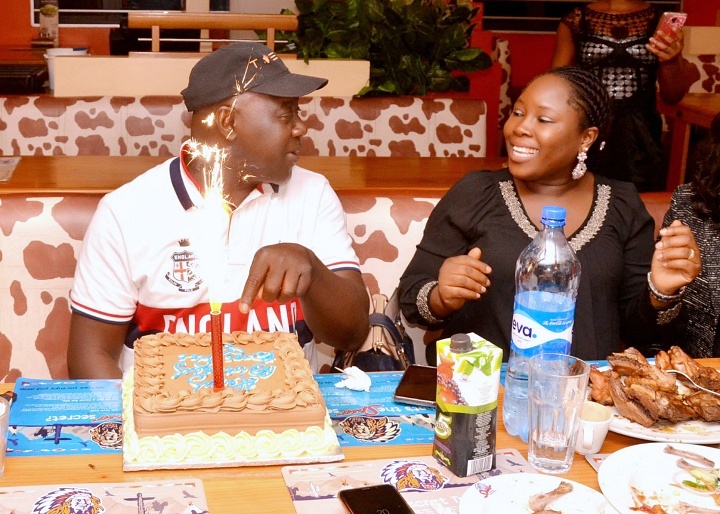 It was also a pleasant surprise to have his brother in-law join the party after a long drive through traffic from Lagos Island. An assortment of organic meals filled the reserved tables while chilled drinks did justice to the digestive system and humidity. 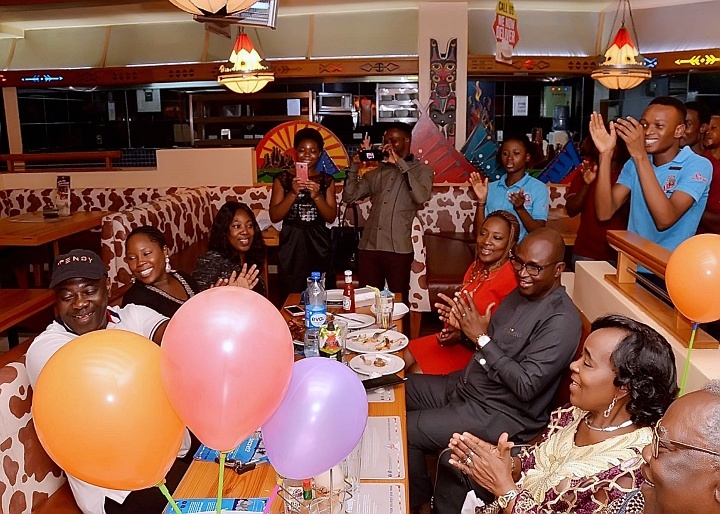 To cap it up, the staff of Spur formed a mini rock band as they filed out with a cake equipped with sparklers as they sang the traditional happy birthday song just as family members and friends in attendance joined in the chorus. A great and unforgettable family oriented birthday dinner indeed for a worthy celebrant. Emmanuel Tosan Aduayi, founder, Trendy Africa Magazine and Business Development Executive at Axxess technologies, was recently named winner in two categories of the Business Council for the Art’s On My Own Time art competition for corporations. The categories include; Best in Show Award for Color Photography for ‘All For You Too’ and First Place Award, Professional Division for ‘All For You Too’. In 2004, he conceptualized Trendy Africa Magazine, an award winning multimedia platform accredited at the U.S State Department foreign press center. His journalism career dates back to 1992 when his first article on electronic products was published in “Crown Prince”, a Men’s Magazine published in Nigeria. 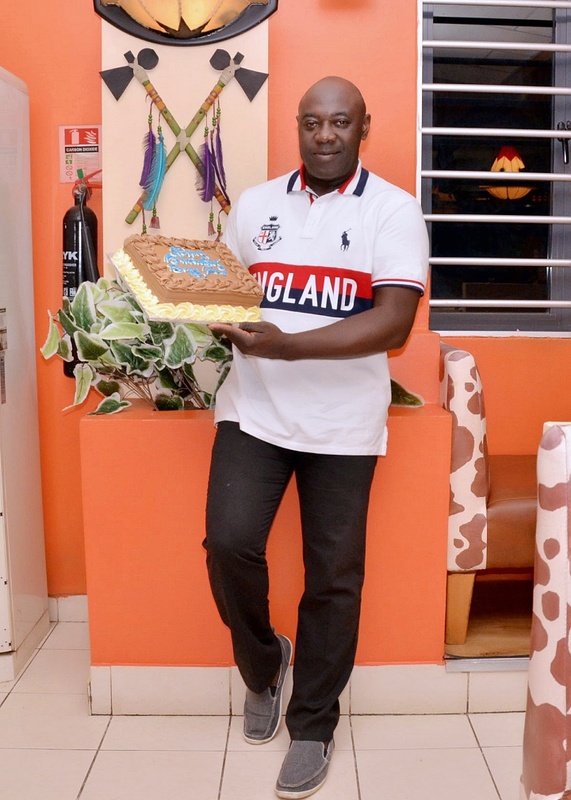 He later became the pioneer Motoring Editor for Fame Weekly (1994), Encomium (1996) and Ovation International (1999), where he was an international correspondent and eventually became the USA bureau chief between 2003 and 2008. Aduayi also conceptualized and produced events including; Mothers Appreciation Event- TAMMAE, La Femme Gele Extraordinaire fashion competition – LGE, Trendy Excellence Awards – TEA Awards, Dallas International Fashion-DIF, Trendy Africa Grace for Victims – TAGV Charity and Speak up Against Domestic Violence – SAD. He became the first Nigerian reporter to travel with a USA president on an official foreign trip. The 8-day trip with former United States President George Bush included visits to five Countries in Latin America including Brazil, Mexico, Colombia, Venezuela and Guatemala. Aduayi is married to Winifred Aduayi (Oputa) and blessed with children. Over the years, he has acquired a B.Sc in Accounting as well as other certificates in various fields including Journalism, Digital Photography, Computer Science and Automobile Technology.